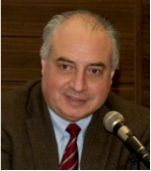 Dr Arnaldo Colombo received his medical degree from the Federal University of São Paulo in 1983, and continued his residency training on Internal Medicine and Infectious Diseases there subsequently. After his residency training and master degree on Infectious Diseases he completed his fellowship training in medical mycology at the University of Texas Health Science Center at San Antonio, Texas-USA. He received his PhD degree from the UNIFESP on 1994. Dr Colombo has authored and co-authored a total 130 publications in peer-reviewed journals (H-index of 27), including original and review articles published in The N Engl J Med, Clin Infect Dis and Clin Microbiol Rev. He has organized several multicenter surveillance studies to characterize the epidemiology of emergent fungal infections in Brazil, and has actively participated in several worldwide surveillance programs to evaluate azole antifungal resistance to Candida spp. He serves as a reviewer and member of the editorial board of many medical journals, as consulting for several leading research institutions in Brazil as well as pharmaceutical companies. He founded the Special Mycology Laboratory that is a national reference laboratory for yeast identification, typing and evaluation of antifungal resistance. He is also the coordinator of the Clinical Mycology Branch of the Brazilian Society of Infectious Diseases and has organized several guidelines for the clinical management of invasive fungal infections in Latin America. Of note, he was the Vice-Chancellor of Graduate Students and Research of the Federal University of São Paulo during the period between February-2009 and February-2012.